Despite the rise of social media and online job portals, you can’t ignore the importance of a having an appealing resume that plays the vital role in getting a job. A precise, well-written resume is the key that helps you for getting the job, you are after. In simpler words, you sell or market yourself to the employers through a resume, so it has to be very effective and unique. What is a Resume in Reality? A resume is magical tool to build the very first impression on the employer. As such it needs to stand out of the lot. It’s true that writing styles of resume can differ with the varied job profiles such as a resume for a creative position will slightly differ from the formal corporate jobs. But there are few common factors that remain same and play a crucial role in getting an interview call! Talking about your achievements and qualification only, doesn’t make a good resume. You have to keep in mind several things that make your resume a right fit for your desired job. Here we have talked about some factors or components depending upon which you can judge whether your resume is the right fit for the job you are applying or not. 1. 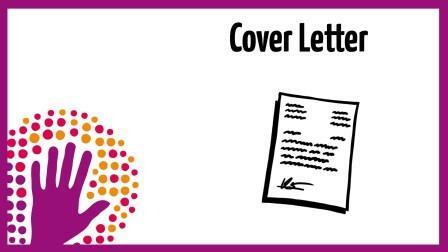 Do you have a Cover Letter in your resume? In order to know whether your resume is a perfect fit or not, the first basic thing is to check the cover letter. Including a Cover letter in the resume is very important as it increases the chances of a resume getting noticed even being among the crowd of multitude of resumes. According to a recent survey by Office Team, for 86% of the executives cover letters are considered as a valuable resource in the recruiting process. If your resume has a crisp cover letter talking about your skills, abilities, interests, professionalism in a personalized way, your resume is close to be called perfect. Keeping in mind the specific audience you should write cover letter to engage the reader/readers and encourage him/them to call you for an interview. Research to know the company you are interested in and out. In order to know about the skills, experiences and qualification necessary for the position, ample research is needed. Write about skills that sync with the organization’s needs. Tell about specific examples, accomplishments related to the particular job and explain why you are a good fit for the company. Keep font size no less than 10 points. Give a personal touch and you can directly address the person whom you are writing. 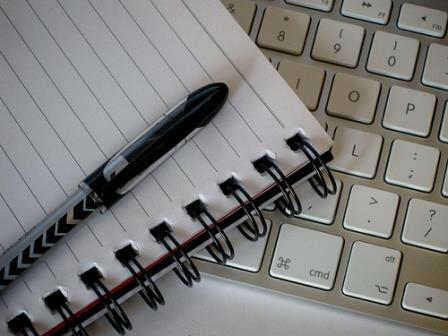 Cover letters should be less than a page and must consist of a short introduction, body and conclusion. At last don’t forget to give your signature. If you are one of the smart ones who include a small summary, often called as Elevator speech, at the beginning of resume, you have increased the chance of getting a call from interviewer in manifold ways. This 40-60 words summary is thought as a sales pitch of the job seeker. It serves as an introduction of yourself and contains the information that makes the job seeker stands out. Don’t write opening summary with first person pronouns. 5. Have a You Written a Job Title? Writing a resume title can do much. If your resume has a title that talks about your professional identity, your resume is the right fit for your desired jobs. The job seeker’s title should be placed above the summary at the top of resume. It is like a headline that attracts reader’s attention and helps them know if you are fit for the position at a glance. President of Walden Recruiting, Marsh Sutherland, said that a job title is not the position that you had in your previous company-it is all about how you define what you do. 6. Are the Things Relevant and Well Put Together? 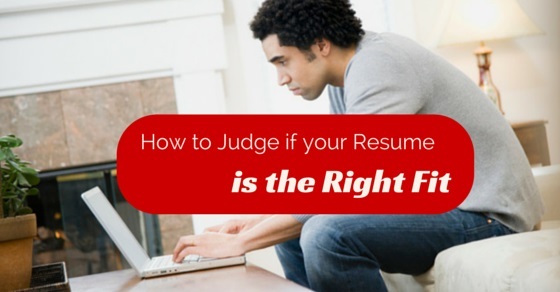 It is one of the most important parameters or components that help to judge you whether your resume is a perfect fit or not. No matter what kind of job you are applying for, inclusion of points like summary, objective, work history, training, references increases the value of a resume. Your resume will not be considered as a perfect fit for jobs if you include sections like language, interests and accomplishments, hobbies. Furthermore whatever you include, they should be in sync with one another and shouldn’t be inserted randomly; as that apart from creating a negative impression on the readers, will directly lead to rejection. 7. Does Your Resume Have Power Key Words? Using power key words can make your resume a star rated one. 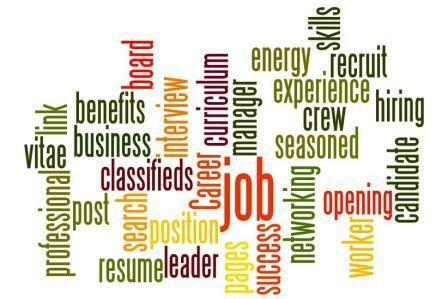 If your resume contains power key words such as skill, management, leadership, knowledge, business, professional etc. it will hold a great significance for the employer. If you use negative key words like me, myself, hard, chance, learning, develop, first time etc the resume might lose its value. There are few factors that you keep in mind while creating a powerful resume. If your resume lacks these components it will not be considered as a right fit. Resumes within 600-700 words are considered as more impactful than longer or shorter ones. Resume has to be visually appealing, presentable and most importantly error free. Incorporate the skills which are unusual and valuable for the company. Don’t take templates or cookie cutter resumes. They instead of making it attractive lower its value and create a negative impression. Add your LinkedIn profile to your resume. LinkedIn being your professional profile allows the reader to know more about you, your position and experiences. Have same set margins throughout your resume, at least 1/2 to 1 inch on all sides. Keep the font size 10-12 maximum, for subheading you can increase it to 14. Choose the most common type of writing fonts- Arial, Calibri and Times New Roman. Symbols may only be used in the form of bullet points. Safest way to write resume is black and white. You can use subtle colors to retain focus on experience, skill etc. Effectively written resume is like an investment for you. A good resume can not only get you more phone calls and interview appointments, but also it is a useful tool to persuade the employer to think that you are worth more salary. Whenever you are creating a resume, keep in mind the above mentioned components based on which you can judge and will effortlessly get to know whether your resume is the right fit for your desired job or lacks something in it.